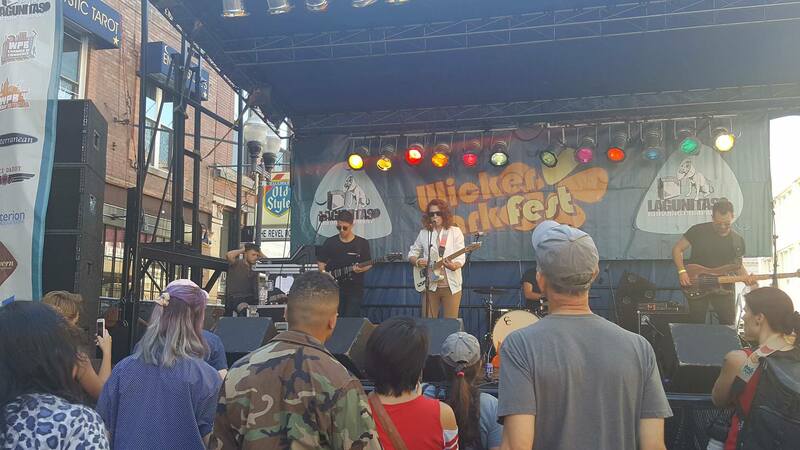 As indie rock artist pronoun took the stage at Wicker Park Fest, the crowd seemed thin, listeners shying to the outsides of the pavement’s confines. For the short moments of soundcheck, no one was yet daring to inch closer. 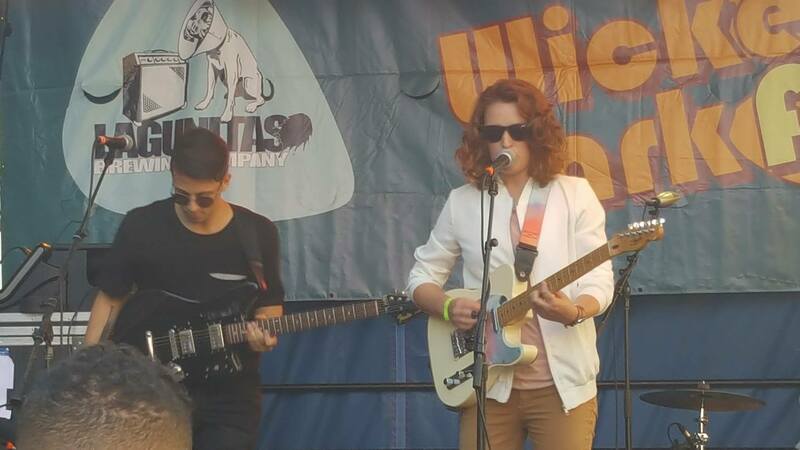 It was a typical street fest atmosphere, most attendees there less for the music than the beer, but once Alyse Vellturo began her set, the crowds drew near and attention was demanded. 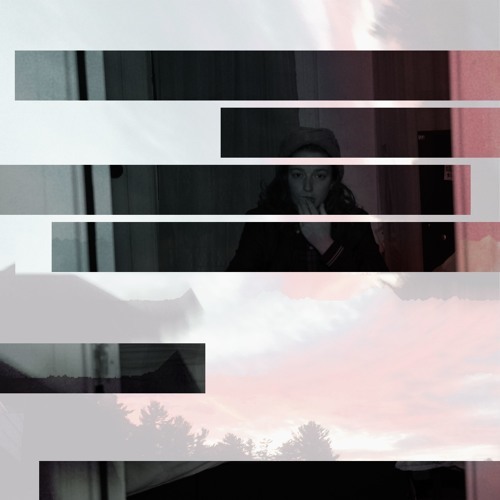 pronoun has spent the last two months touring, starting with an East Coast leg, including her hometown of Boston, now venturing to the Midwest and eventually wrapping up at Baby’s All Right in Brooklyn, NY. It’s not her first time on stage, but it marks a new chapter of extended exposure, from her first time playing Toronto, to this fest, her first time setting foot in Chicago. Opening with a cover of The Killers‘ “Jenny Was A Friend Of Mine,” the whisper-electronic artist proved within seconds she is a rock force to be remembered and respected. Through the eight-song set, the crowd more than tripled, once empty spots of blacktop soon crammed with bodies of strangers, dancing along with smartphone videos rolling. 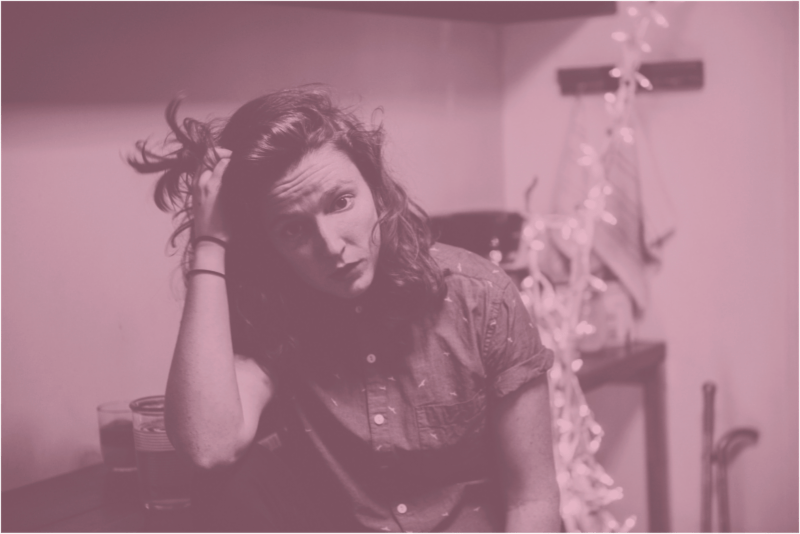 While pronoun may not yet be a household name, chances are indie-rock fans with a knack for Spotify playlists have stumbled upon her debut EP, There’s no one new around you. (TNONAY), named comically after the literal end of the location and gender confines of a Tinder search, released in 2016 via Sleep Well/Rhyme and Reason. The four-song collection is a devastating recap of Vellturo’s life experience, a break-up quickly resulting in an ex’s new engagement, the collection focusing on the hope for rekindling, followed soon by easy dismissal and a sense of betrayal. Instrumentally, TNONAY is a dream-indie-pop whirlwind, a tornado of emotions that feels manic, yet perfectly clear and concise. Production is heavily computer-manipulated, guitar and bass parts sparing and lyrics taking center stage. Never having seen pronoun in a live setting, one might expect a coddling and quiet environment, a show with as much heartache as the songs, but the performance is a refreshing awakening. While pronoun’s recordings are beautifully manipulated, the live show breathes a new life into the tracks fans have grown to love for their honesty and relatability. The live performance supports a show with amplified intensity, a dramatic difference from the quiet revelations which gracefully haunt the recorded tracks. With live drums instead of the EP’s cherished drum machine, a new level of adrenaline gives a rock edge to the otherwise dreamy tracks. The change in instrumental strength allows pronoun to expand not only her style, but her vocal tone, range and performance confidence. As pronoun played all tracks from her EP as well as an unreleased song titled “I’m Just A Loser,” bystanders stopped to watch and long-time fans were revealed. In the crowd, young adults could be seen mouthing the words, three individuals clinging to the stage fence and dancing along. They’d travelled from out of state just to catch her set. Though the fest didn’t foster the perfect super-fan environment, pronoun is aware of her fan base and their undying dedication. From early days, even those before TNONAY, pronoun has upheld a genuine connection with fans. In her on-tour interactions, she’s developed relationships and realized her lasting impact. Vellturo interacts with fans and new listeners via her Twitter account (@musicpronoun), a platform she uses with both sincerity and sarcastic humor. Her newfound love of Twitter, as well as her dedication to Spotify, have allowed Vellturo to expand her music connections as well, forming a close-knit circle of other indie musicians, some of which she’s signed to her record label Sleep Well Records. Vellturo balances her own art with promoting the work of others, both through Sleep Well and her 9 to 5 job managing independent labels. She amounts some of her success to the prominence of the people listening to her music on streaming services, speaking of Spotify’s listener algorithms and the fact that her own music has made the top 40 in Spotify’s listener data. Looking forward, pronoun hopes to release a new collection, ideally an EP followed by a full-length album. In her words, the EP is “ a little more rock, a little more pop-punk.” The writing process is something she’s struggling with, finding the words don’t come as easy as they did at the climax of heartbreak. Forcing out lyrics may not be her forte, but it may work. Vellturo explained that she wrote the second verse to “I’m Just A Loser,” backstage at Brooklyn Night Bazaar when she really wanted to premiere it live. Over time, she learned to love those last minute words, allowing them to make the final cut. For the future of pronoun, it’s the one song she’s sure of, and in a live setting, it holds up to everything fans love about her past. With emotional lyrics, the chorus nearly satirical exclaiming “I’m just a loser and nobody likes me,” it’s pure pronoun, with a new, impressive rock angst and the same dramatic, yet perfectly relatable, take on unique lyrical content. Though pronoun may consider herself a “loser,” we at Atwood do not, and after witnessing the tracks we’ve loved all year in a live environment, we’re more sure than ever that Vellturo is an evolving, leading voice in the future of indie-rock. Her lyrical vulnerability is inspiring, yet can be balanced beautifully with a rock edge, a combination making her truly incomparable and nearly unable to categorize. 20172017 new musica million other thingsAlyse VellturoAlyse Vellturo interviewAlyse Vellturo pronounAlyse Vellturo pronoun interviewAtwood MagazineAugust 2017BrooklynChicagoelectronicElectronic MusicFeatureIndie MusicMusicmusicpronounNew MusicNew Yorknycpronounpronoun 2017pronoun 2017 interviewpronoun a million other thingspronoun a million other things meaningpronoun Alyse Vellturopronoun Alyse Vellturo interviewpronoun artist interviewpronoun band interviewpronoun Brooklynpronoun Brooklyn interviewpronoun Brooklyn musicpronoun debut eppronoun EP interviewpronoun indiepronoun interviewpronoun interview 2017pronoun interview EPpronoun interview musicpronoun musicpronoun music artistpronoun music interviewpronoun new musicpronounmusicRhyme and Reason RecordsSleep Well Recordssynthpopwho is pronoun music?